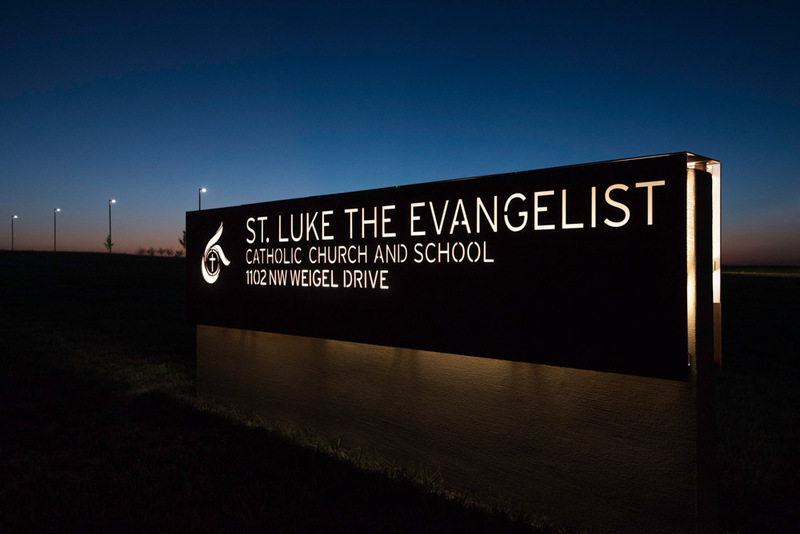 With the population of Ankeny, Iowa continuing to show strong growth, the Catholic Diocese of Des Moines wanted to provide a new parish to serve the needs of those settling in the northwest corner of the Des Moines area metro. 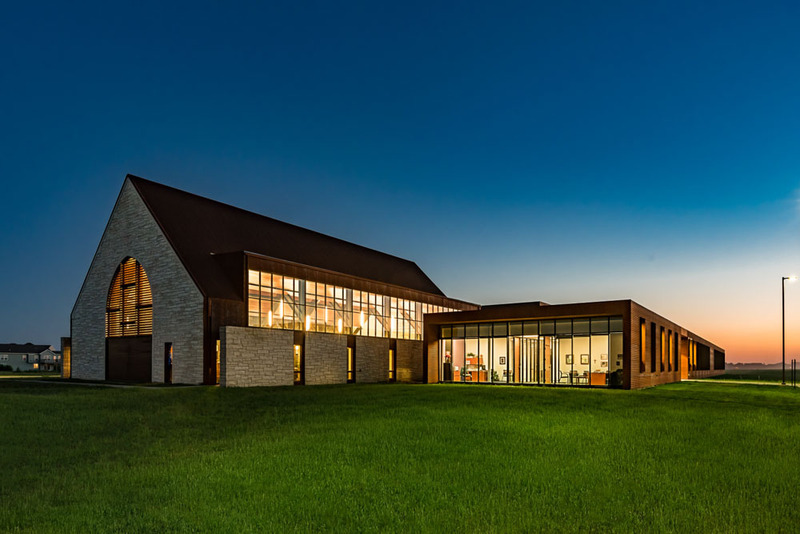 The Diocese selected Neumann Monson Architects and Modus to provide the designs for the first of many construction phases for the new Saint Luke the Evangelist Parish. The first phase was completed during the summer of 2015. It includes a Kindergarten through 8th grade school along with the associated gymnasium and school office. A large worship space and the parish office is connected to the school. The mechanical design team was given two primary goals: simplicity and efficiency. The parish does not have the luxury of a full time maintenance staff so effort was placed on a HVAC system that was easy to operate and required minimal maintenance. 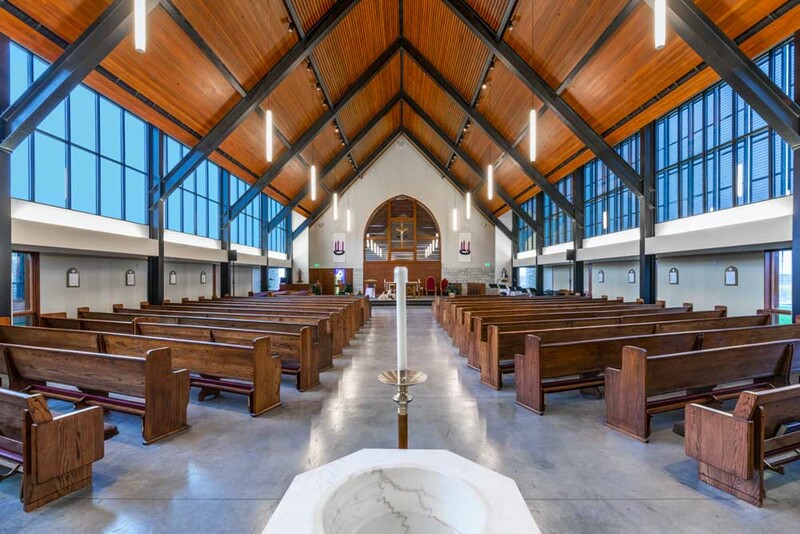 MODUS worked collaboratively with the parish, Neumann Monson Architects, and the Weidt Group’s innovative energy modeling and rebate program and eventually landed on a high efficiency air cooled Variable Refrigerant Volume HVAC system. The VRF system provides all heating and cooling needs in the school and office areas. The ventilation is provided by an Energy Recovery Ventilator located on the roof. Due to their ability to handle larger loads, both the gym and worship areas are treated via high efficiency rooftop units placed on an adjoining lower roof. Extra effort was placed on the acoustic and numerous duct silencers were designed for the RTU’s supply and return ductwork. The architect worked diligently with the MODUS design team and helped develop a ceiling system that would conceal the ductwork while not hindering the performance. The kitchen HVAC system consisted of a variable speed kitchen hood entrapment system capable of idling down to low speeds. Since the kitchen was designed for future building additions, the hood will be able to conserve energy during the first construction phase by idling to lower speeds when less heat is produced by the smaller cooking volumes. 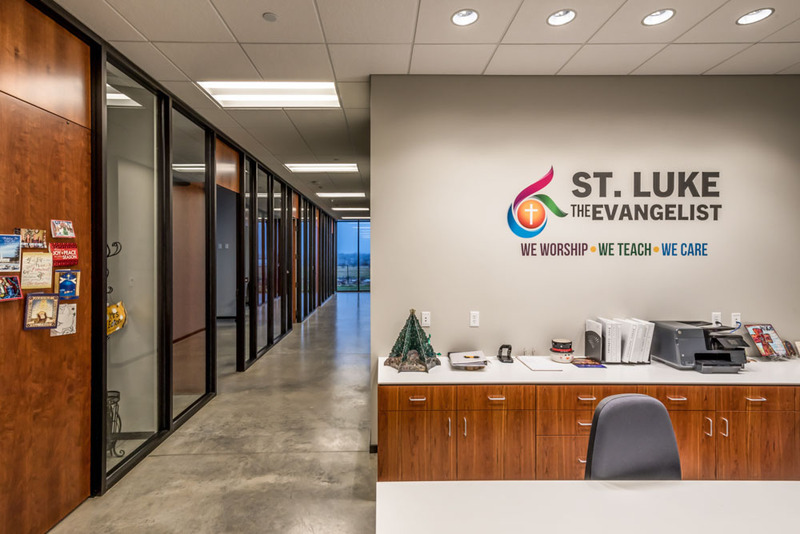 A naturally illuminated space allowed for this congregation to reduce their energy budget and welcome the entrance of nature into this large volume environment. The decorative lighting pendants were selected to be as minimal in both scale and appearance as possible. Surface mounted track lighting was incorporated into the slat design and spacing of the ceiling in order to increase lighting levels at the pews when daylight wasn’t present. This dual-layered lighting system also allowed for varying lighting levels and looks to fit the various ministries and liturgical holidays throughout the year. Additional track lighting was used to enhance and brighten the altar platform area to help bring focus to the front of the church. This room is slated to become a multi-purpose space once the larger, permanent worship space is completed so the lighting had to fit the functional needs of the church as it continues to grow. The lighting control system was simple- but still allows for varying lighting levels and “looks” to suit the wide variety of needs for this space between the church and school functions.